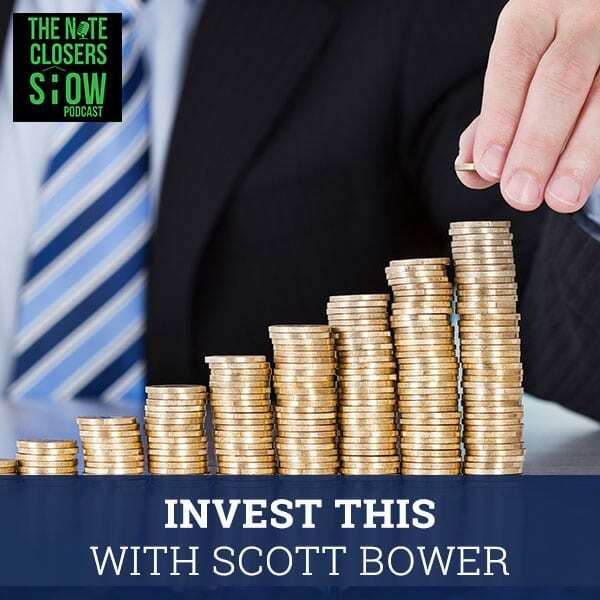 Scott interviews Scott Bower from the #INVESTTHIS Podcast and discusses his transition and growth as an investor and some of the obstacles that he has overcome along the way. Scott is closing over $20 million in transactions and does an amazing job not only as an investor of investors but also as a show host for his podcast. 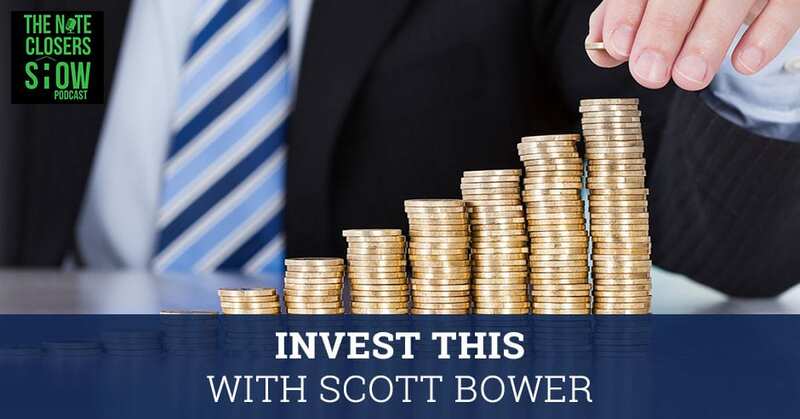 We’ve got another Scott on the show, a buddy of mine, Scott Bower, who is the host of the InvestThis podcast and also the owner of Southwest Property Buyers who does a tremendous job. This cat is closing over $20 million in transactions and does an amazing job not only as an investor of investors but also as a show host for his podcast. I was honored to be a guest on InvestThis and getting a lot of great feedback from that. I’m honored to return the favor and have Scott on the Note Closers Show podcast. What’s going on? I appreciate you having me on here. 2019 is starting off strong. I’m excited to get things going. Why don’t you share with people a little bit of your journey, how you got into real estate and your journey to where you’re at now? I started back in 2000. I moved to Arizona at the beginning of 2012. I’ve been here for several years. I moved here right after college. I moved out to Arizona. I’m originally from Iowa. I went to the University of Iowa. I got three degrees in four-and-a-half years. What are the three degrees in? Business Communications, Entrepreneurial Management and Health Promotion with an emphasis in Nutrition, a little bit different. Three different colleges but ended up being that way. I was an entrepreneur from a young age. I started a car detailing company back when I was a junior in high school. Entrepreneurship has always been my thing. While I was in college, I met my first mentor who happened to be the president of a large logistics company based out of Iowa called Jacobson Logistics. When I was in college, I interned with them every year. When I graduated he said, “Where do you want to go to the country? We’ll make a job anywhere you want to go.” I narrowed it down to three different options: Atlanta, Georgia, Phoenix, Arizona or Harrisburg, Pennsylvania. Naturally, Phoenix, Arizona was the winner of the three and I ended up here. I was doing that for about a year or so. I worked for that company before I got tired of working for the man, working for somebody else. I got my real estate license. I started there with a realtor for a little bit and gradually progressed. InvestThis: If there are bigger numbers on the purchase, there are bigger numbers on the cashflow. You talk about how you became a realtor. It wasn’t your cup of tea then I take it. Phoenix, Arizona when you moved there over the last several years, that area has gone through a tremendous amount of change in the real estate side. I can remember buying $300,000 properties I was picking up for $30,000 back in the day. Phoenix is one of those areas that are boom or bust. When I moved here in 2012, which was the beginning of when things started to uptick, I didn’t have the pleasure of being here and knowing what I know now. Back in ‘08 to ‘11, we could buy these things that literally cents on the dollar. I have been able to see the increase in value. Phoenix has changed tremendously since I’ve been here. It’s been cool to see it. It’s been cool to be part of it. We’re trying to see where is it going to go? Everything has happened in the past is done and over with. You no longer can control that. We only try to control what’s in the future. Trying to nail down where we’re at and making sure we’re making safe investments now that aren’t going to put us in a hole if something wants to correct in the market. You keep but a lot of single-family up that neck of the woods, $20 million. You’re transitioning into some larger commercial stuff, multifamily, and commercial stuff. What would you say has been the biggest learning curve for you going from the residential side to the commercial side? I’m still heavily in the residential side. The commercial side can be a little bit intimidating because the numbers are larger. The difference is that it’s easier to qualify for loans on commercial buildings. It’s easier to make these properties cashflow. If there are bigger numbers on the purchase, there are bigger numbers on the cashflow. There are bigger numbers on the sale or the disposition of the asset later after some time. It’s wrapping your head around that difference instead of buying $200,000 or $300,000 houses. You’re buying $2 million or $3 million properties and it’s a little bit different. How you construct it too, the partners involved, the people involved. I know on the multifamily side it’s a team sport. You have to have a good solid team in place. You have to have the right people on your team to make sure that everything goes successfully. I talked a little bit in another podcast episode about the fear factor. About how a lot of people go from the residential side and they get these commercial deals and they get scared. It’s funny to guarantee people like, “He’s talking about me with the fear factor.” How it is easier with commercial because you do have the team. You don’t have to be the expert. You go out and find the experts in their specific niche on the commercial side, whether it’s multifamily, self-storage, mixed-use, whatever it is. The bank likes it better when you’re not a one-man band. It takes a lot of the pressure off as well. You’re going to buy a $30 million property and you have this whole thing you think you’ve got to dig down yourself and do it all yourself. That’s scary. That’s not something I’d like to do. The team is important, that’s for sure. You still are heavily active there buying a lot of properties. What’s probably one of the biggest mistakes you see new investors making out there? In the market cycle, they’re paying too much money for it. They’re not buying on cashflow. Some people are spoiled. They’ve only seen an appreciating market, which I guess you could say I have as well. If you bought something in 2012 and you didn’t do a thing to it, you’re making money if you sell it now flat out. Now, that’s not the case. Rents have dramatically increased over the last few years. Things have changed a lot in that market or in that part of the cycle. We’ve been in the uptick for a long time. You can’t buy properties expecting the same thing to happen. 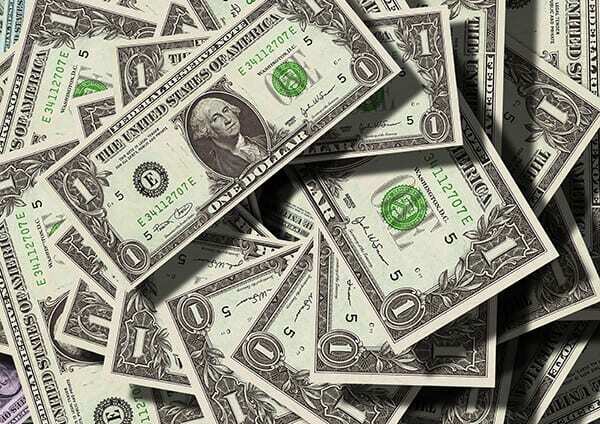 You only have to buy on cashflow. You’ve got to be conservative on your numbers. The downfall here is that you won’t get as many deals accepted. You won’t get as many offers accepted because there’s a lot of dumb people in the market that are willing to overpay. That’s something that we have to live with. You have to expect to be careful with your numbers. Know your numbers. Something important a lot of people missed out on is you’d expect a longer-term deal. It’s not going to be the quick flip and turn, a quick wholesale deal. You got to expect that if you’re going to buy it, that it’s all about cashflow that’s going to tide you over a little bit. When you look at rentals with what we do in the note business, taking the property back and keep as a rental is our least favorite exit strategy. We’d rather get it reperforming and worst case take the property back via foreclosure and sell it off if we have to. If we take it back and have to rent it out, that’s the least thing that we want to do but you still have to expect that. You got to be prepared for that. Many people out there get so busy watching HDTV or Flip This House or something like this, seeing these made-up fictional shows. Think they can go out and be a weekend warrior and buy a property and make some money on it. You’ve got to know your numbers. You’ve got to know the market. You’ve got to know what’s going on and it’s not the same thing as reruns were from a few years ago. It’s a little bit different but I don’t watch the news because it’s fake. It’s not real. The same thing goes with HDTV or any of these other shows like Flip This House or whatever it might be. They’re not real. They’re there to get viewers to watch it. They are addicting. I’d been in that spot where I watched it like, “That’s a good show,” but you can’t expect that to be the reality of it. That’s how I got into real estate. My ex-wife loved watching that and wanted to pick up paint colors and carpet. I grew up in the harvest, “I can fix anything.” That’s not the case. It’s not. Unfortunately, we’re seeing an influx. You can tell where we’re at in the market cycle because there are a lot of events going on, a lot of gurus out there that are teaching them how to do it. Therefore, we’re also seeing sellers that are getting a lot more marketing from a lot of people that have no clue what they’re doing. That puts more competition for the investors out there that are trying to either do direct mail marketing or they’re being targeted on Google or whatever it might be. There’s other competition out there. If you’re smart with what you’re doing and you don’t over leverage yourself, you don’t buy things looking for an appreciation in order to make your money, you’ll probably be okay. One of my coaches challenged me. He said, “This is the year I want you to say no. I want you to say no more often,” because I’m a yes man. That’s who I am as a person. I love to say yes. Every opportunity out there like, “Let’s do it. It sounds great.” That’s not always the case. That’s not always a great deal. Focusing on how you say no more often and only put your chips on what you know is going to be a win. InvestThis: When you get into these larger commercial deals and multifamily deals, you have more sophisticated people. They’re not there wasting your time so it’s a lot more fun. You raise a good point there. I only say because I run into that too as well. We as entrepreneurs, especially when we’re creative we can make it work. We can find a way to make it work. Eventually, you run out of round pegs for square holes that we’re good at squeezing into those. When the market is over congested with gurus, educators, everyone wants to be an educator these days. You got to realize something’s wrong. You got to pull your cards or your chips back from the table, focus on the hands that you know are winning. Maybe share a little less, but be more conservative in what you’re making offers on and go from there. We’ve done that quite a bit over the last many months, especially in the debt space been a little more conservative on what we’re buying. We’re bringing things back in. I’m speaking less out there because like, “I don’t need to go to a room with a bunch of newbies that are going to run to the back of the room.” That’s not what I got into real estate for. Another indication of where we’re at in the market cycle is that everybody’s willing to lend you money. There’s a reason for that. I got people that reach out to me almost daily wanting to fund this and I’m like, “I don’t want that.” That is an indication to me that there’s too much money in the market that things are overpriced and people are trying to take advantage of that. You established Southwest Home Buyers. Tell us a little about what Southwest Home Buyers is. Going from HBSB Holdings, that is the umbrella company for all of my other companies. I have a couple of other ones as well. What that stood for is Homes By Scott Bower. That started in 2014. Now, we’re separating out. When people look at this, they think of, “This is a big company. Who is this?” or HSBC Bank or whatever it is. I don’t want that. I want to have a better assimilation of, “We’re there to buy your house. That’s what our guys are out there doing.” That’s where Southwest Home Buyers comes in. It’s a piece under the umbrella of HBSB Holdings. What it is we’re going out there, we’re finding distressed assets. We’re selling them to other investors on a wholesale basis, taking them down, remodeling them ourselves and flipping them or putting them back on the market on a wholesale basis. It’s pretty simple. We’re trying to capitalize on where we’re at in the market cycle. Now, you’re moving also in the multifamily space. You are also speaking at the Multifamily Investors Summit. I was going to. As we move into more the multifamily space, it goes back to the numbers. I’m an owner of a 120-unit apartment complex in Kentucky. It’s a phenomenal deal. It’s been a big learning curve for me to see it and understand it. I could tell you that it’s much more fun to be in that space. The transition can be a little bit challenging. How do you shift from only buying single-family to now jumping in full-fledged into the multifamily investments? They’re also heated up. Here in Phoenix, I was trading at a four-cap, three-cap, maybe even a high two-cap in some scenarios. That’s the thing because that’s not sustainable. Looking at other safer areas, I’m from Iowa. Iowa is a phenomenal investment opportunity. It’s a phenomenal investment space for a lot of reasons. You’re not seeing those super low caps there as often, at least from what I’ve seen so far. We’re starting to underwrite a couple of deals down there and try to see if that’s where I want to build some more opportunities. A lot of people, especially Phoenix, California people will slice their grandmother’s throat for a three-cap in LA. Everybody loves LA or the big markets like Dallas, Austin. Austin’s silver-priced here. That’s what we had to do years ago. We still do that where we’re buying a lot in secondary markets because that’s where we still see a lot of opportunities. You don’t see quite as much competition. When you go the bigger deals, it’s a lot more fun because you’re dealing with a lot less pain in the asses. In a single-family space, you’ve got many idiots everywhere. They’re clouding the space up. When you get into these larger commercial deals, multifamily deals, you have more sophisticated people. They’re not there wasting your time. It’s a lot more fun. The reason I have a piece in Kentucky is that that’s a safe market. Why is it a safe market? Not one job sector is what runs that whole area. There’s the two largest, technology and healthcare only make up 15% of their GDP of the area. It’s safe. Iowa is the same way. You got a lot of diverse business. Nothing that handles or holds a lot of the market share and that’s what you want. You want diversity that way because then you’re not worried about one sector taking out your whole job force. It’s because you’re moving into some bigger assets doesn’t mean you’re stepping away from the bread and butter. That’s the biggest thing a lot of people when they get into real estate, they’re like, “I want to do commercial because I like the bigger numbers.” We all know commercial deals take longer to close, there’s more due diligence, stuff like that. I’ve been a big believer of making your bread and butter with your residential deals, whether it’s the fix and flip or the rentals or the turnkey stuff or like with us what we do in the note aspect. You get your systems and get that. That’s what is covering your bills. That’s your day in, day out income. You hit home runs with the commercial deals. Those are the deals that you look at retiring. If you’ve got your capital sitting on the sidelines, you should be using other people’s money most of the time. You’ve got to tap into your own funds for down payments and things like that. 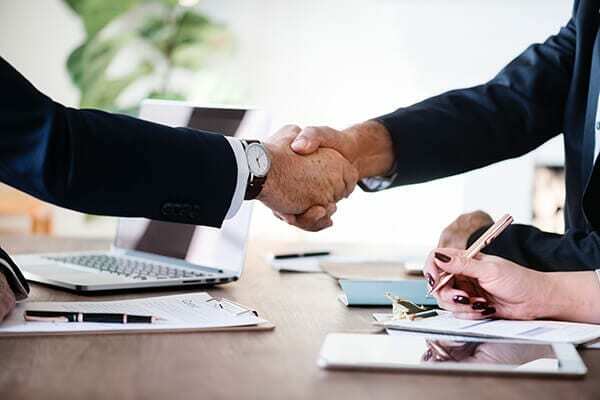 Commercial deals are where you want to spend the time with. Residential deals, do another marketing piece, you’ll raise enough capital to get that stuff done. It’s super easy and it’s one of those things where I can’t let it go because sometimes the deals happen quickly and I’m a busy guy. I like to go constantly. I like to do stuff. If I’m only going to close three or four large commercial deals a year, that’s not enough movement for me. I would rather be burning and turning on the single-family, burning and turning that as much as I can and at the same time working on these larger deals. At the end of the day, we all win. I stay busy and I get into the other deals and everybody wins. Let’s talk about the InvestThis podcast. You’ve been doing that for how long now? We’ve got 50 episodes. A total of 52 recorded, one a week for 2018. It’s been good. I’ve got to meet individuals like you on the podcast. I got introduced to that 120-unit deal from my guest on the podcast. The whole thing for me is giving out free content. I want to bring people on like yourself that we can deliver information to people that can use in their business, to invest in their business and in their life to keep them moving forward. When I was first starting, this was one of the big things I listened to all the time is podcast after podcast. You learn a lot. If I can give back that way. At this point, I’m not necessarily making a ton of money on the podcast. In 2018, I made $3,500 from a monetary standpoint of just on the podcast, but I’m building relationships. I’m building this network of people that I wouldn’t have otherwise got had I not had the podcast. InvestThis: There are opportunities everywhere. It’s a great way to give back a lot of content. You closed 120-deal in Kentucky. You’re going to monetize the podcast right there. One person and commendable sticking with it. You’re in some rare air. Less than 10% of podcasters get to 50 episodes. You’ve hit that mark. Keep going a year. The same here, over a year now. It’s been amazing and honestly, the podcast community is pretty damn friendly too with advice because we’re all clamoring for listeners or build an audience, but it’s not stepping on anybody’s toes. Working together, a lot of times we can cross-market and cross-pollinate each other’s shows and things like that. If I ever wanted to learn about notes, I know who to go to. If I say something pops up, an opportunity in front of me that says, “Here it is.” Unless I would have had that relationship with you, I wouldn’t have somebody to go through or somebody else. It could be self-storage or it could be other commercial deals. I had somebody called that has a 250-unit single-family portfolio that they reached out to me about. All of this stuff is a product of the podcast. It might not be monetary now like, “Here’s your check,” but it will be in the future. At the end of the day, it’s how we give back. It’s a good way to provide content for people. What’s been your biggest surprise from the podcast? The relationships I’ve been able to build. I didn’t think that I’d be able to meet these types of people. I’ve been able to have some of them on the show, get a chance to speak with them. That’s been the biggest surprise for me. The other thing too is I’ll be at an event or I’ll be somewhere and people come up to me like, “I love your show,” or whatever like that. It’s rewarding because I know that they’re getting the value out of it. That’s why I’m doing it and it keeps me recording more and more episodes and having more and more people on. Do you have some big goals in 2019 for your real estate and then for the podcast? Congratulations moving into the new office. I know you were excited about that. It’s one of those things that need to happen in order to grow. You have to have more space, which is always good and exciting. From a real estate standpoint, taking more of a transition is the big focus. I know how the single-family world works. I know how this whole business I’ve been able to build over the last few years. I know how it all works now. Now, the transition for me is really important. I’ve surrounded myself with the people that are going to allow me to get there and that are probably the most important part. It’s moving into bigger deals. It’s focusing on larger targets and not being shy about it. Reach out to the people in my network to get them on board with it as well because it’s a team sport. If I can find some other players with people in my network, it’s all winning. Are there any big goals for the InvestThis podcast as well? I’ve been challenged by another one of my coaches on that as well as what is the goal of this? What is the point of having the podcast? At this point, it’s still a giveback. It’s still to build these relationships. There’s nothing massive about it. 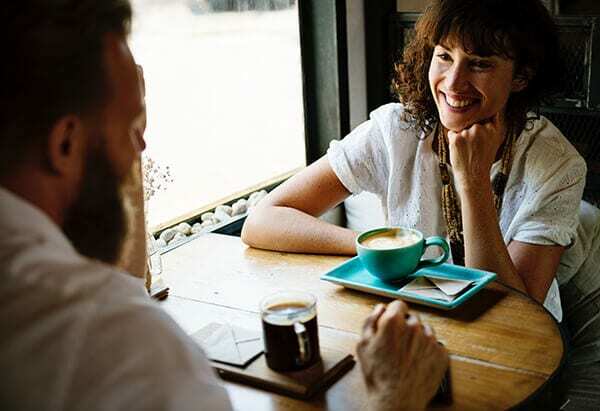 It’s to get good quality guests on that I can build relationships with and therefore also help other people get out there to invest the knowledge and information into their own life and business and keep them moving forward. That’s the biggest goal for me right now. Right or wrong, that’s what it is. I’m going to throw a personal thing out there for you. Let’s put it behind Note Nation out here, all our WCN Crew people out there or the Carson Knights. Is there something you’re looking for? Is there something you need help with in 2019? We’re always raising money. We’re always finding those new relationships with raising capital and finding opportunities. I’m here in Phoenix that means that I’m not always in the best place to find the opportunities. There are opportunities everywhere. It’s a hot market here in Phoenix. If there are deals or opportunities that people have where they’re looking for capital to be raised on, I’d love an opportunity to look at those deals. That would be first and foremost probably as to try to find the opportunities. We’ll see if we can’t put those out there for everybody out there. If you’re looking at deals and things like that, you’re in the Phoenix market or outside of that, Scott’s always looking for deals. Unless you speak it, your goals never happen. My whiteboard is white blank now because I moved to this office. Here in about an hour or so I’m going to fill it back out with what was on it, which is my goals for this year. That includes buying more apartments. Scott, I want to say thank you so much for taking time out of your busy schedule, especially on a moving day to jump on here. What’s the best way for people to reach out to you? I would say send me an email. If you send an email to Support@SouthwestPropertyBuyers.com, that’s going to be the easiest way to find us. Send me a message. Let’s talk. I’d love to connect to our audience that’s reading this. I’m trying to add as much value as I can and see how I could help out their operation or their deal or anything that they need. I’m happy to help. Guys and gals, check out the InvestThis podcast. It’s on all the major podcasting platforms. Episode 45 has some guy talking about notes. Subscribe to and leave a review. You won’t go wrong listening to InvestThis. Scott, thank you so much for joining us on the show. I look forward to your continued success. Go out and make something happen. Don’t be scared of your bigger deals. Don’t let the fear factor in your decision not to pursue a deal. Check it out and get with people out there. Bigger deals are sometimes easier to do because it’s rarefied air. Keep doing that and we’ll see you all at the top.